WASHINGTON — Caught in thick smoke in a burning suburban Cincinnati home, veteran firefighter Robin Broxterman and her novice mate, Brian Schira, tried to summon help on their Motorola digital radios. She called four times, he another half dozen, according to radio logs from the 2008 incident. For seven long minutes before concluding that contact had been lost, the Colerain Fire Department’s incident commander heard nothing discernible from Broxterman and Schira, certainly no urgent “mayday” calls for a rescue operation, an internal investigation found. In the ensuing rescue effort, Broxterman, a 37-year-old mother of two, and Schira, 31, were found dead in the basement, covered with rubble from a collapsed floor. “No firefighter should have to die because of a radio that doesn’t work,” said Arlene Zang, Broxterman’s mother and a firefighter herself, while conceding that other factors influenced the tragedy.Many of the nation’s biggest fire departments, spooked by allegations that Motorola’s digital radio failures contributed to the deaths of at least five firefighters, the disabling of a sixth and scores of close calls, have limited use of the glitzy gadgets acquired in a post-Sept. 11 emergency-communications spending splurge. The headlong, federally backed push to buy tens of billions of dollars in digital equipment, including radios priced as high as $6,000 each, gained momentum despite the lack of any government standard ensuring that they’ll perform for firefighters. Multiple investigations and tests have since found flaws in the equipment made by Motorola and its rivals. Fire departments in New York City, Chicago, Los Angeles, Boston, Phoenix and Boise, Idaho — communities that have spent tens of millions of dollars on the new equipment — are so leery of problems that they won’t use digital radios at fire scenes. While a number of companies sell digital radios to public safety agencies, most of the focus falls on Motorola, long the industry’s dominant player and holding an estimated 70 percent to 80 percent of market share. “While other vendors have come and gone, Motorola has remained committed to serving these dedicated professionals and has closely listened to public safety’s needs,” the firm said. Motorola’s newest generation of digital devices offers a full range of features and costs “without ever compromising first responders’ safety,” the company said. Despite those assurances, numerous firefighters say that Motorola’s digital radios have failed them when they most needed them: for “mayday” calls to be rescued from burning buildings. The digital radios’ shortcomings are so widely known that they’ve acquired nicknames. There’s the “digital cliff,” when a radio is out of range and the connection ends without warning. There’s “bonking” — also dubbed “the sound of death” by some Philadelphia firefighters — when an important transmission gets rejected because too many other radios are using the system. Then there’s “going digital,” when a radio emits a garble of beeps and tones instead of a voice. sounding, firefighters correctly understood just 15 percent of the words spoken. A “noise-canceling” feature in new models may offer improvements but NIST hasn’t yet tested it. Some firefighters said that “trunked” systems, in which multiple users share the same radio frequencies to improve efficiency, could prove disastrous for fire operations because nonessential traffic could block radio lines, as occurred in the Colerain fire. The shift to digital began in the 1990s, but it surged in response to calls for radio upgrades after the communications chaos that greeted hordes of first responders converging on the flaming towers of New York’s World Trade Center on Sept. 11. In 2004, the 9/11 Commission recommended overhauling public safety radio systems in New York, Washington and other cities considered “high-risk” terrorism targets to avoid another Tower of Babel-like snarl. While federal agencies haven’t issued a mandate for a switch to digital trunked radio systems, they’ve used the lever of federal funding to prod more than 60,000 state and local agencies to do so. Once Congress began approving $13 billion in federal matching funds to help finance purchases of the equipment, the rush was on. Switching to digital requires costly infrastructure, including towers that beam radio signals for miles. North Carolina’s statewide system calls for 240 towers and other infrastructure with a price tag of nearly $189 million. When digital garbling and unintelligible transmissions plagued the Orlando, Fla., fire department’s new system, firefighters reverted to their older radios for years while awaiting testing, upgrades and training. Deputy Chief Greg Hoggatt said the radios were working now, and the department is 100 percent digital. The Philadelphia firefighters union, which alleges that two of its members died in 2004 when their mayday calls were “bonked,” has resorted to using a labor contract clause to ask that an arbitration panel require fixes to the system. Tim McShea, the vice president of the Philadelphia union, said he still got two to three calls a year about “bonked” mayday alerts. The Chicago Fire Department, proceeding even more cautiously, hasn’t used the city’s $23 million Motorola radio system since its installation began in 2006, awaiting full testing and any necessary upgrades. “We’re not going to look the family members of a deceased firefighter in the face and say we knew about this problem and we adopted it anyway,” Boise Fire Department Capt. Paul Roberts said. Department Capt. John McNally said that when firefighters were trained on the state-of-the-art equipment, they had the impression that it would be invincible. Instead, he said, it’s been rendered useless by busy signals during some large events, such as storms, and there’ve been unexplained “stealth” rejections by the computer. “If you’re in a crucial situation and you key that mike, and you get a busy signal, that’s just a gut-wrenching feeling,” McNally said. Zang, Broxterman’s mother, and her husband have sued Motorola, the homeowners and others in the Hamilton County Court of Common Pleas on behalf of their daughter’s estate. Lawyers for Motorola Solutions have denied the suit’s allegation that the company’s radios failed because of their “flawed” design and manufacture. The company, which declines to comment on its litigation, reached settlements for undisclosed sums with the families of the two dead Philadelphia firefighters. Cities and counties across the country often accepted contract language from Motorola and its rivals that promised 95 percent coverage 95 percent of the time on streets. That guarantee doesn’t extend to basements, subways or high-rise buildings. “A toaster has to go through more certification processes before it’s sold to the public than a police officer or firefighter’s radio,” Boise’s Roberts said. The nonprofit National Fire Protection Association effectively sets certification standards for firefighters’ protective clothing and breathing masks, standards that government agencies then adopt. Ken Willette, the manager of the association’s public fire protection division, said that no one had asked the group to set safety standards for firefighters’ radios. “There needs to be a performance standard, and radios need to be certified to that standard,” said Richard Duffy, the assistant to the union’s general president. He called firefighters’ radios their “number one piece of safety equipment” and said the union advised members to avoid using digital radios inside burning buildings. 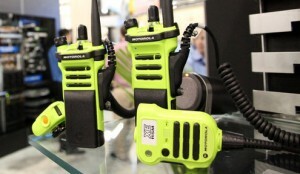 No user commented in " Firefighters (still) balk at new digital radios "